...dispatches from the new frontier. Simple solution for Radionomy: shut up and pay. From 2007 to 2013, I did a radio show for an Internet station. We paid the requested royalties because it was simply the right thing to do. As for the idea that these small webcasters provide independent labels with their only way of promoting their artists, that is flat-out false, especially in this day and age. I have never listened to Radionomy or any other service that rips off musicians, yet typically purchase 140-150 new releases each calendar year (very few of these are on major labels). The notion that artists should give away their recordings or play free gigs for "exposure" is moronic. The musicians I know aren't interested in becoming stars. They just want to be paid for their work. So pay 'em, for goodness sake. Since the commenter (who posted anonymously) raises several points that I often encounter in online discussions, I think a systematic, fully-developed response serves the public interest. Simple solution for Radionomy: shut up and pay. This is the same "simple solution" that some float for health care, homelessness, university tuition, world hunger, and every other created crisis of our time. I don't know what Radionomy's books look like. (No-one seems to.) But the issue here – and across Net radio – is pricing start-up webcasting out of existence. Since no-one has argued that Radionomy, or anyone else, shouldn't pay a fair revenue share to content creators, the commenter's objection is off-topic. From 2007 to 2013, I did a radio show for an Internet station. We paid the requested royalties because it was simply the right thing to do. Again, no-one believes Net radio stations shouldn't be licensed. In fact, many small webcasters go into the field precisely to support artists they admire. Paying liability is part of their dream: helping musicians live off their art and produce more of it. The issue is the word requested. Copyright owners are not the only interests in play – this is also a cultural matter – and anyway, creators are far down the corporate food chain. You want an earful of abuse and exploitation? Bring up the very corporations bringing this suit to a roomful of artists. The implication that royalty rates have been inflated for their benefit is fatuous at best. As for the idea that these small webcasters provide independent labels with their only way of promoting their artists, that is flat-out false, especially in this day and age. He goes on to explain how trust-friendly legislation stripped American broadcast radio of its ability to promote new artists. The most powerful alternative those artists have is the up-and-coming medium of small webcasting. Webcasting hasn't yet had time to land its full punch, but it's far and away the most welcoming mass-media outlet for independent artists. Thousands of hobby and cottage-business stations already exist, and (outside the US) their numbers are growing. Niche formats, streamed to rabid, globally-distributed listenerships, are the medium's bread and butter. If the law can be persuaded for once to promote individual enterprise over corporate laziness (see Capitalism gone awry: How legislation killed the music industry and radio), Net radio will revolutionise the market in favour of artists. Until now, they have always had to overcome tremendous odds to reach ears – and therefore wallets. This has caused many deserving talents, who should have enjoyed robust careers and enriched our lives, to languish in obscurity. Finally, did Anonymous miss the part about Radionomy being a sister firm of the world's largest record company? Does he imagine that corporations habitually dump money on unpaying propositions? Obviously, the moguls at Vivendi think there's something to this "Internet" thing. I have never listened to Radionomy or any other service that rips off musicians, yet typically purchase 140-150 new releases each calendar year (very few of these are on major labels). It's hard to keep a straight face on this one. To begin with, there's no compelling evidence that Radionomy exploits artists more dramatically than Big Music itself. Most performers (some well-established; see Janis Ian's in-depth, well-informed essay on music marketing in the Internet Age) viscerally distrust the promoters and distributors they've worked with. As for his own buying habits, I'll see Anonymous' bid and raise him this: 100% of my new music purchases come from Net radio. As in all. Some of those tracks are by artists established in their own countries but unknown in mine. The rest I bought from Bandcamp or the artist's website. If not for Net radio, I would never have heard them, and so I would never have bought them. Anonymous doesn't reveal what drives his 150-odd annual music purchases; does he just buy willy-nilly, sound unheard? Is it the title that attracts him? The name of the group? Where does he even learn about these tracks, or groups, or whatever it is that gets his money, since radio apparently isn't in the equation? And who are these "other services that rip artists off"? He seems to imply that all small webcasters fall into that category; possibly he believes broadcast radio pays a larger share of its revenue. If so, I'd like to give Marvin Glass, director of Streamlicensing.com, a moment with him. The notion that artists should give away their recordings or play free gigs for "exposure" is moronic. "Exposure" is another word no-one has read on Net Radio Blog. Not that the exposure con isn't real; as a freelance writer I bang my head against it daily. And we writers don't even make a dime beyond one-time purchase of our rights. By contrast, musicians get liability per listener per performance, amounting to a perpetual revenue stream worth much more than recording sales. That said, exposure is a thing. Artists must be heard/seen/read to make money. If it's true that profiteers have spun that into a racket, it's also true that exposure is vital to us. That's why music promoters provide thousands of recordings to radio stations – including small independent Internet radio stations – free of charge. But Anonymous is right that exposure alone isn't sufficient; you can't pay your rent with "exposure". And no-one in the Net radio community – least of all me – has suggested otherwise. The musicians I know aren't interested in becoming stars. They just want to be paid for their work. So pay 'em, for goodness sake. You know who else doesn't want to be a star? Small webcasters. They'd like to pay their expenses (or not; many are hobbyists, happy to operate at a loss, within reason). A few would like to make a living. The notion that Net radio producers are running off with bags of unearned money is frankly surrealistic. They are in fact the precise equivalent of independent musicians: doing what they do because they have to, because they've got the sickness, because they have vision and passion and something to contribute. Any attempt to cast them as exploiters – of anyone – is extremely specious. Artists and small webcasters are two subsets of a common interest. To characterise their relationship as adversarial flies in the face of political reality and common sense. Characterising its 50,000 small radio producers as "pirates", a coalition of US corporate record labels are taking European Net radio provider Radionomy to court over what they contend are unpaid royalties. Radionomy, whose member stations operate worldwide, supports a vast number of operations devoted to niche music genres. The Radionomy business model entails running paid advertisements for large multinational corporations such as Walmart and GEICO in heavy rotation and applying proceeds to the liability incurred by member stations. In return, those stations must deliver minimum ATH to Radionomy's sponsors; those that fail are unceremoniously deleted. Radionomy is owned by digital mass-media company Vivendi, which also owns Net radio pioneer Shoutcast and Universal Music Group, the world's largest record company. Following the January 2016 CRB decision that eliminated the US small webcasting music license, American small businesses and hobby stations flocked to Radionomy in a bid to stay on-stream. Of particular note were refugees from the collapse of Live365, which left an estimated 6,000 American stations without access. The current action by corporate music interests in the US follows a 2015 Sony offensive to remove small stations, including Radionomy members, from Net radio aggregator TuneIn. In other news, virtually all Radionomy stations suddenly went silent today at about 2100 GMT. The company's website was also down, as were those of member stations. No word on the origin of the apparently worldwide outage, or whether or not it is related to the American action. As of this writing (0050 GMT), the stations remain offline. The Shoutcast station database also appears to be inoperative on its website, though Shoutcast stations in the NRB playlist are still up and the database is still accessible for streaming through the Internet Radio Box mobile application. Update 2016 Mar 1: At 0351 GMT, Radionomy released a statement attributing the network-wide blackout to an unspecified "major Internet issue", and announced that it was working to have service back up soon. Update 2016 Mar 2: Radionomy seems to be mostly back "up" as of ca. 1600 GMT. Update 2016 April 5: Word has come from Radionomy that residents of Italy are no longer permitted to produce Radionomy stations. This comes after a protracted take-down campaign by Italian music industry authorities. 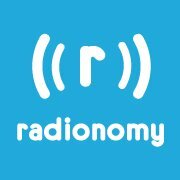 An easy way to help: Stream Radionomy stations. Boot up a good station and run it as background music. Maybe have a playlist of several, and remain at least 10 minutes (including adverts!) on each one. This accomplishes two important things: it delivers ATH to Radionomy's advertisers, strengthening their interest in supporting Radionomy, and it demonstrates citizen support; authorities generally insist that Net radio is only a grey-market (or in this case, black-market) medium, frequented by a handful of hipsters. By upping Radionomy's carefully-accounted numbers -- especially in the United States -- we imply that there could be political blowback to anyone who harms it. Major Labels Sue Internet Radio Platform Radionomy for Copyright Infringement: "Another major threat to small and medium sized internet radio stations has surfaced." Record Labels Sue Radionomy Over Diy ‘Pirate’ Internet Radio: "'Defendants operate an online music service through which users can listen to music stations, or create stations, that Defendants stream to listeners worldwide,' the complaint reads." Sony Music Sues Universal Sister Company Radionomy: "Sony is claiming the maximum US statutory damages amount of $150,000 per infringed track." Record Labels Sue Radionomy: "The company sent out a press release earlier today announcing its new iOS and Android mobile apps along with smart TV apps for Roku and Samsung TVs which indicates this move came out of nowhere." o An online petition to the US Congress now exists here. o The Internet Radio Broadcasting Facebook page is Information Central on this and other matters affecting Net radio. o A new website addressing activism on this issue has appeared at savenetradio.info. o Full text of the CRB's decision is here. o As of 18 January 2016, Streamlicensing LLC has posted new rates for a monthly music license. An example: a station with the mid-range audience reach of 10,000 ATH (Aggregated Tuning Hours) and revenue of less than $20 US per month (typical of the great majority of American Net radio stations), will pay $109.32 US per month in licensing. Previously, the same station paid under $30. o Streamlicensing LLC's Marvin Glass has issued a Call to Action to all of his clients, and anyone else who supports American Net radio. Read it here. 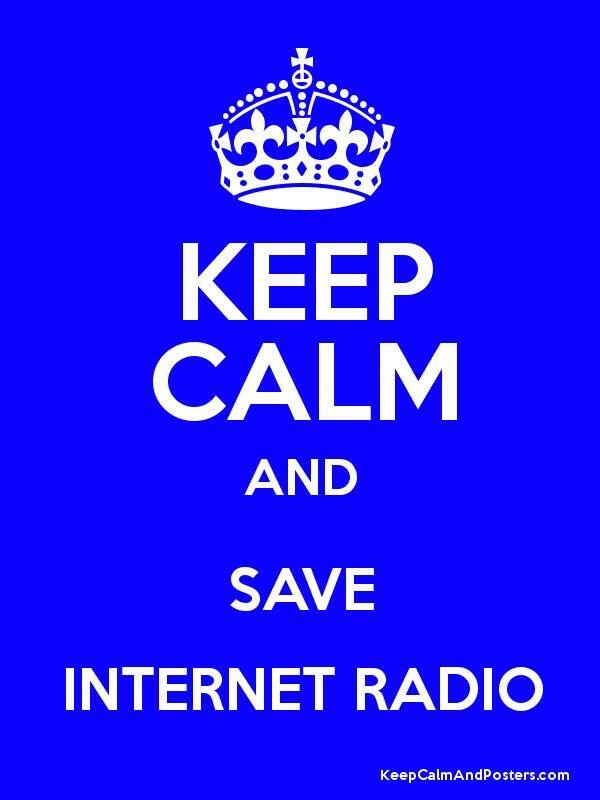 o Save Internet Radio now has several ready-made public service announcements to educate listeners and encourage them to act on behalf of American Net radio. If you're a producer, download them here and stream them in regular rotation. o Streamlicensing LLC has also issued a public service announcement that producers may download and stream, free of charge. Get it here. o US Government Officially Denies Small Webcaster Royalty Pleas. The news is in, and it isn't good. o Update 28 April 2016: Small Radio and the CRB: Live365. All the talk is about Pandora. And that's the problem. o Small Webcasters Are Squeezed By Music Rates (Radio World). "Experts contacted for this story said the number [of stations wiped out by the CRB decision] could be in the hundreds or even thousands." o Now Big Music is gunning for Radionomy, the last refuge of small webcasting in America. Read about it here. o On Radio Survivor: LPFM Watch: How Internet Radio Royalty Rates Affect Low-Power Stations. While as broadcast stations they fall outside the purview of much of the CRB decision, it does impact LPFM negatively, and may affect their ability to stream their broadcasts. o Also on RS: Will Performance Royalties Create a New Class of Radio Pirate? "Thousands of internet radio stations have gone silent in 2016, while thousands more may yet shut down, primarily because of new performance royalty fees that have skyrocketed for small and mid-sized internet radio stations. In this piece I explore how this challenge might encourage some webcasters to give up complying with the law and simply stop paying royalties altogether." o Vince Wylde of The Vince Wylde Show says it's TIME TO PICK A FIGHT: The RIAA – Time To End The Music Blackout. o Perhaps the most informative part of Radioworld's RIP Live365 is the comments after the short article. People really were listening and enjoying, and had been for years. Though still a fringe movement, Net radio was clearly up and coming in the States. o In “Bloody Sunday” decimates Internet radio, Kurt Hanson reports specific examples of the chilling effect of the CRB decision on American Net radio scene as of 1 February. In spite of a 15% spike in listenership for his own AccuRadio service, he says, "the net result of these decisions is that Internet radio is in the process of losing much of its depth and diversity." o Will the CRB decision help artists, or just big business? Citizens for Responsibility and Ethics in Washington are sceptical. o How do the current changes in 2016 liability figures augur for SoundExchange profits, and therefore artist income and general development of the music industry? Not well, says XAPPmedia. o On Music 3.0, Bobby Owsinski says of the ruling that "musicians and songwriters now make marginally more, but to what end? If there are fewer outlets for your music, there seems like no winner in this decision, but many with a lot to lose." o In Tough Month for Streaming, Corey Deitz concludes: "Internet Radio is quickly becoming the domain of the corporations. The little guy is simply being pushed out." o A case history: New Royalty Rates Forces BlowUpRadio.com To Shut Down Their Internet Radio Station On Feb. 1.
o Forbes magazine writes about the debacle (not just Live365) in Pioneering Internet Radio Service Live365 Is Closing Tomorrow. o Gospel enthusiasts represent a large chunk of Net radio producers and listeners in the US, and on the Gospel Synergy website, Fred Willis makes the case for activism in Why is gospel music oblivious to the CRB ruling and its devastating effect?. o It’s the 13th Hour for Small Webcasters, says Radio Survivor. The latest edition of their podcast (#31) includes an interview with Paul Merrell of StreamLicensing.com on ways that company is confronting the challenge. Afterward, RS explores the efforts to date to resolve the stalemate between small internet stations and copyright authorities. Probably the most thorough and incisive exploration of the situation to date. o Gary Wien makes a cogent, data-driven point about the losers here (spoiler: pretty much everybody but music industry executives) in The Death of Internet Radio: Why Musicians Should Be Furious At The Music Industry. o See also Ian's Fallout, on the response to her first article. o Mouse House Radio has posted the call to arms that Marvin Glass, director of Streamlicensing LLC, sent to affiliates on 23 January 2016.
o TV Comedy writer Ken Levine explains the math in The little guys get screwed again: "At a time when three or four horribly run, close-to-bankrupt conglomerates own 90% of terrestrial radio and have turned it into a cesspool of commercials, automated voice tracks, syndicated programs, and infomercials – the only real variety were these internet radio stations." o In An Open Letter to David Byrne, Radio Paradise's Bill Goldsmith addresses SoundExchange board member David Byrne -- yes, that David Byrne, of the Talking Heads -- directly. o Radiodiversity.org seeks to unite artists and Net radio producers in the effort to overturn the current CRB decision and replace it with a royalty schedule that supports further development of both the arts and Internet media. o Live365, a cornerstone of American Net radio that hosted hundreds of small stations, has announced that it's closing its doors on 31 January 2016. Story here. o In the Global Tribune's ‘You’re Gonna Miss Me When I’m Gone’: Why the recording industry needs internet radio, indie music promoter Fred Willis makes a clear and cogent argument for Net radio's crucial role in the continuing development and diversification of the music business. o See also Fred's The CRB Ruling and the Inadvertent Resurgence of Payola, also from the Global Tribune. o Streamlicensing LLC founder Marvin Glass responds to the crisis in CRB Ruling Is “Crushingly Bad News” for Microcasters. o Radio Survivor Podcast #28 – Will 2016 Be the End of Indie Internet Radio? In his cautious, responsible way, Paul Riismandel, author of the excellent Radio Survivor article linked below, discusses the ways that the CRB decision endangers the existence of Net radio in the US and how it endangers artists. o See also Radio Survivor Podcast #29 – The Royalty Rates Are Too Damn High. o In My take on the new royalty rates for internet radio, David Porter of 8tracks acknowledges that the new rate structure eliminates competition to music streaming services by suppressing independent stations, and explains how this is accomplished. o In Joel Salkowitz Shutters 'Pulse 87' Because Of The New Royalty Rate On Small Webcasters, All Access Music Group talks to veteran small webcasters about the decision and its consequences. o Rate Decision Affects Small Webcasters (Radiomagonline.com) especially addresses the fate of Live365 producers. o Radio & Internet News offers a street-level view of the consequences small webcasters are facing in Mid-size and small webcaster reaction to new CRB rates. o Paul Riismandel, of the Radio Survivor blog and podcast, has uploaded an excellent, well-researched, and thorough article on the CRB decision and its potential effect on American webcasters here. o A 40-minute webinar from Triton Marketing, in which copyright attorney David Oxenford explains the provisions and ramifications of the new CRB ruling, can be found here. In the course of this audio stream, Oxenford directly addresses the impact on multiple categories of Internet media, including small webcasters. o The Top 22's Paul Marszalek speculates on the origins of this decision here, and its potential cost to American arts and entertainment here. 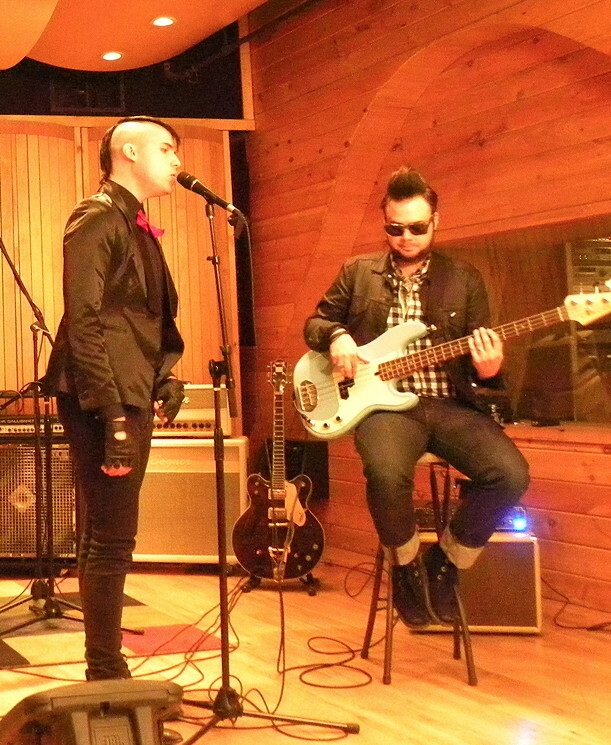 o A thorough review of the situation can be found here, from Radio and Internet News. o Radio Swing Worldwide of Bellaire, Texas, announced on 30 December 2015 that it would soon go 404. As of 1 January 2016 it's still streaming... but not swing. Station owner Harold Levine, who runs a whole stable of Net radio stations, says he is trying to find a way to keep them live and on-format, in the face of liability expenses that have suddenly jumped to 10 times their former level. For more information, see the Radio Swing Worldwide Facebook page. o Update on the above: Radio Swing Worldwide is in the process of pursuing nonprofit status, with an eye to gaining access to more affordable royalty rates. o As of 30 December, in anticipation of the loss of small-webcaster licences that will take effect 1 January 2016, American livestream platform Live365 has apparently closed its doors, threatening hundreds of American Net radio stations. (Story here.) Producers streaming on other servers have noticed a pronounced uptick in their analytics; there is speculation that this may be a result of Live365 station closures. All of Live365's 5,000-odd stations have gone silent as of 1 February 2016. Some have found a home elsewhere; many have simply folded. o Sign this online petition. o Sign this one too. o Write to the members of the Congressional committee charged with this legislation. Text of that bill, and a list of those members, are here. o Those who run a Net radio station can stream PSAs asking listeners to write their own delegations. Station managers should also join Facebook's Internet Radio Broadcasting group, to keep up with developments and responses. It's important to realise that this ruling passes into law on 1 January 2016. It can't be stopped. It can however be overturned later. Will, almost certainly... after the rest of the world has left the US even further in the dust than it already has, and Americans have lost out on a significant chunk of the future. This is not a preservation effort; it's a revival movement. I suggest that Americans who find this development unacceptable hit this point hard in any correspondence: that the Copyright Royalties Board has literally killed an entire medium in their country, while this new and futuristic industry continues to evolve and flourish overseas. An ironic twist indeed, for a people who were once famous for being early-adopters and -perfecters of new technologies. Best of luck to American webcasters, and to the IRLs who love their work. This month the Copyright Royalty Board, a panel of three appointed judges who decide the liability rates American radio stations must pay to broadcast music, handed down a pricing schedule that effectively eliminates Internet radio in the United States. As the CRB's Wikipedia entry reports, this panel defines itself solely as an advocate of big business; though a governmental body, it refuses to consider artists' needs, economic or cultural development, or national interest in its decisions. Instead it adjudicates on the basis of something it calls "market value". In this worldview, the rate the CRB judges fair for the largest commercial media corporation in the nation is the benchmark for all radio, regardless of revenue, service area, or listenership. Only registered non-profit organisations receive due consideration. The CRB's existing license structure was already below international standards; at bare minimum, American radio producers needed more pricing levels with shorter rate jumps between them to effect technical and commercial growth in their industry. But after New Year's Eve 2015 (a bit more than a week from this writing), all accommodation of aspiring start-ups and hobby stations – in other words, of Net radio itself – vanishes completely. Let's be perfectly clear: if this decision goes into effect as written, all individual American initiative in this rapidly developing medium is banned. The keyword here is "American". As delighted as I'm sure the record companies are to have "killed the Internet", we've seen this before. That time, the empowering new technology was a seminal, hobby-generated music sharing platform called Napster. This brand-new paradigm, invented by a college kid in his dorm room, so undercut Big Music's marginally-earned profits that they ordered it gone. In response, American judges could have monetised the new technology, as they did when the same interests called for a similar assault on radio in the 1920s. But the role of the judicial in the US has changed; now it jumps on command. And that's why no American today can download free music. Right? Yeah. No. Americans can still get any almost song they want, scot-free, from any of a hundred sites, on any computer connected to the Web. How is this possible? Well, look at that word "Web" again. It's short for something: World Wide Web. Other nations, other laws, other standards of enforcement. Napster-like free music servers flourish in virtually every nation of Eastern Europe and the Third World. Russia alone counts at least a dozen. And Americans can (and do) patronise them all. My point is that the CRB hasn't killed Net radio. It has only killed American Net radio. This new rate system, replacing not-enough with not-any, will have precisely one effect: to exclude the United States – its artists, entrepreneurs, technologists, and public – from advances and business opportunities developing in the rest of the world. We've already seen America go from leader to straggler in Net radio, thanks to abusive copyright legislation; as of 1 January, it forfeits its cut entirely. As an enthusiastic consumer of worldwide Net radio, I'd like to plant my flag firmly on the side of American producers, now staring down the barrel at oblivion. I want to hear American music, American voices, American perspectives, and American communities. I want to have American stations in my scan list, right alongside those in Canada, Mexico, France, Australia, Russia, the UK, and fifteen other nations. But sadly, if the CRB's ruling is allowed to stand, even American listeners will very soon have nothing to listen to but foreign Net radio. May I suggest that American readers express their considered dismay to their elected officials. Here, in alphabetical order, is a list of four of our favourite seasonal stations for your holiday listening pleasure. Best returns of the season from Net Radio Blog. 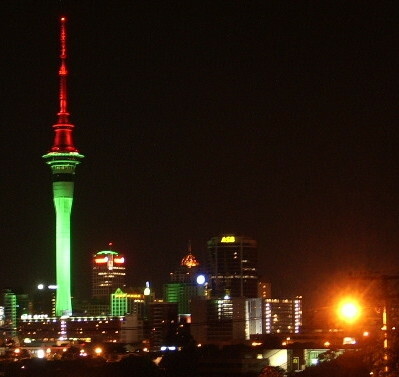 This Irish FM network plays a range of contemporary English-language Yuletide hits, along with the mic presence typical of broadcast radio. And also the stubborn hiding of its stream URL. (Not a very seasonable attitude; somebody's getting coal in their analytics this year.) We found it at last (and many other interesting stations as well) at http://www.listenlive.eu/christmas.html. Located in Brooklyn, New York, The Cutting Edge of Christmas streams a provocative selection of indie and alternative English-language holiday tracks. Their website offers an embedded player and a Winamp button that downloads a clickable launch file for the MP3 stream. Part of the Polskastacja Polish Internet radio network. Koledy proposes a full playlist of beautiful Polish-language Christmas songs and carols. Its website features an embedded player and a range of clickable launch files, including AAC and MP3. With the best interface of the lot, Toronto's Neige-Folle rolls out nonstop French-language holiday hits from the past hundred years. Most are Canadian, which, as we've mentioned before, is good news. Its active, colourful website provides clickable launch files for every imaginable format; if you can't find yours here, you won't find it anywhere. Don't see anything you like? You've got 247 other choices. All of these "radio stations" are autoplay only; there's no mic presence, not even station ID. They're also programmed to play every song ever recorded in the indicated genre, regardless of other considerations. For example, on Caprice's Hammond Organ stream we recently logged serious jazz; skating rink pop covers; Christmas music (in August); hot funk; Latin and Arabic styles… in fact, anything at all that has a Hammond organ lead. If there's another source on the planet offering that kind of coverage, we'd be greatly surprised..
Radio Caprice is also about the best-possible scenario for both format selection and stream URL access; the website offers 6 format choices for each station, accessible via an executable playlist file that can be downloaded by clicking one of the buttons displayed beside the embedded Flash player. One way or the other, one thing is certain: no-one comes away from this Net radio bonanza empty-handed. 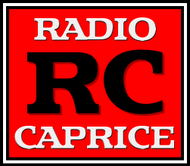 WARNING: Radio Caprice is part of the Runet; DO NOT click on any pop-ups or advertisements. We're fairly Net (and Russian) literate, and even we got suckered into clicking on a system update spoof that saw us rooting malware out of our OS for an evening. Stick to page-native HTML and ignore all banners and other bling. Get an email notice of each new post!